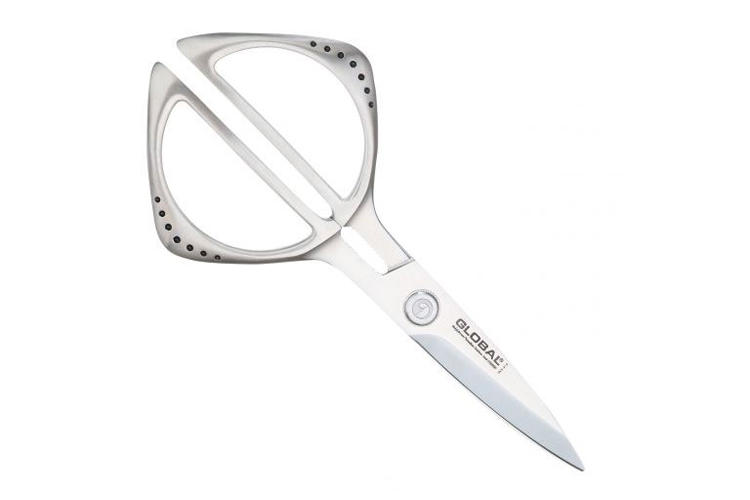 This pair of Kitchen Shears will complement your Global knife collection and handle many tasks in the kitchen. The blades are finely serrated to provide a good grip on foods and the handles have a shape that allows room for a good grip. Made in Japan of Global's signature Cromova 18 stainless steel for long lasting use.